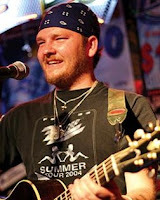 Stoney LaRue's "Velvet" takes command of the Official Texas Country Chart Top 40 for the second week as The Turnpike Troubadours rise dramatically to take the Number Two spot on the Texas music and Red Dirt chart with "Long Hot Summer Days." Josh Abbott featuring Pat Green on "My Texas" came in at Number 3, and Kevin Fowler didn't disappoint at Number 4 with "Hell Yeah I Like Beer." Cody Canada and The Departed rounded out the Top 5 with "Ballad Of Rosalie." "Another Like You" from Hayes Carll rose 14 places to Number 6, but Deryl Dodd fell 5 places to #7 with "Baby Where's My Bottle." Adam Hood's "Flame And Gasoline" jumped to Number 8 (from previous position of #32), and Reckless Kelly fell 5 places to number 9 with "Good Luck & True Love." The Number 10 place on the Official Texas Country Chart Top 40 went to Brandon Jenkins with "Too Big To Fail."